Below are the most commonly asked questions about our popular fiction writing course. Please click on each heading to read the relevant answer. If your question is not answered here then please contact us and one of our support team will be delighted to help you. Do I need to attend any classes? There are no physical classes to attend. The course is delivered entirely online from our secure Advanced eLearn Platform. Once registered, you will receive a username and password to access the course. One of the great benefits of e-learning is that you can study the course online from your computer, smart phone or tablet device, during times convenient to you. Importantly, we give you full life-time access, so there is no unnecessary pressure or time constraints. Do I need any computer or technical skills? No. If you can point and click a mouse, then you’re okay! The course interface is intuitive and easy-to-use. All training materials are delivered via our Advanced eLearn Platform, which you get access to the moment you register. Are there any age restrictions for registering? The age range of our students varies significantly from college students right up to senior citizens. However, due to some of the Horror content contained within, we recommend the course for ages 18 years+. Do I need any writing experience or qualifications to take this course? The course assumes no prior knowledge, experience or qualifications in fiction writing. Each module has been carefully constructed by a team of award-winning training professionals, with a proven track-record of developing beginners into confident and capable fiction writers, with advanced industry knowledge. The language used is simple to understand and the modules easy-to-follow, with no unnecessary jargon. Whether you’re a beginner writer who just wants to know how to get thoughts onto paper, or an accomplished author who dreams of becoming the next bestselling novelist, the Write Fiction Books course can help you. What are the specific modules I will study? Do I have to take any tests during the course? Yes. We have developed an advanced self-assessment testing system designed to ensure an efficient and effective learning experience. At the end of each module, there is a multiple-choice self-assessment test consisting of 10 questions (14 tests in total). Each test has a minimum passing score which you must achieve before you can move onto the next module in the course. You can take each module test as many times as you like until you pass, at which point your passing results are recorded in our international database and contribute towards your final score. Our Instant Feedback System means your results are calculated right away. Are any books or manuals sent to me? No, all learning is carried out via our Advanced eLearn Platform, all the course content is online for you to access at anytime 24hrs a day. The great benefit of e-learning is that you can study at home in your own time and at your own pace. You can combine achieving professional standard training along with a qualification, in and around your job and family commitments. It is this level of flexibility that makes our e-learning course the ideal choice for most people. All you need is a computer or hand-held device with internet access to take this course. How long do I get access to the course for? You get full, unrestricted, life-time access to the course which you can access at any time, 24/7. There are no time limits, no restrictions of any kind, and no pressure whatsoever! Your overall passing grade is calculated by our Instant Feedback System as you move through the course and complete each module test. Your final score is an overall average grade of all 14 module tests. Your final grade is then printed on to your course pass certificate. There are no time-limits for completing individual modules and no time limits for taking the tests. You can view your course history and your current overall grade at anytime during the course. We’re positive you’ll find it a delightful, relaxing and effective way of learning. Can you tell me more about the certificate I will receive? Everyone who completes the course receives an attractive course pass certificate which details all of the modules you have completed. Your certificate will indicate a percentage grade to show how well you have completed the test questions. You will receive a self-printable PDF version of your certificate which you can download immediately on completing the final module in the course. Professionally printed hardcopy certificates are also available. Please click here to find out more about the certificate you will receive and view a sample copy. Can you tell me more about your company as a training provider? 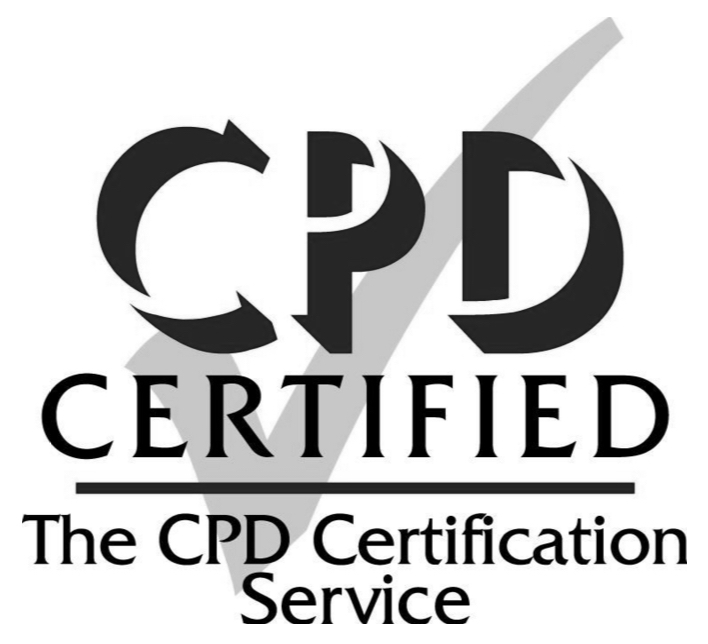 As a Registered Training Provider, CPD accredited training company, and winner of several education based awards, you have the assurance that our company and staff have undergone rigorous quality assurance inspections and have met stringent guidelines and background checks to ensure that the training we deliver meets the highest standards. Is the course information kept up-to-date? Sadly, many online courses are rarely updated because providers get busy creating new courses, while neglecting their existing ones. On the other hand, we’re a CPD accredited, award-winning training company with a passion for writing, photography, design, and all things creative! We serve over 350,000 students worldwide (of all ages and abilities). We also work with schools, colleges and professional training institutes. Therefore, we have a very real commitment to our clients and students to ensure that our courses are always kept up-to-date. Our entire business and reputation depends on it. This course is no different. It has been created by professional writers who are at the cutting-edge of new techniques, technologies, and publishing information as it emerges. Updates to the course are carried out frequently so as to always be in line with changes to best practice and industry guidelines and requirements. With lifetime course access, you’ll always be one-click away from the very latest fiction writing information. Write Fiction Books is perfect for aspiring novelists or those who wish to write short stories. Even established fiction writers will find this inspirational course a handy companion because it’s packed full of indispensable tips, concrete advice, along with lots of practical guidance to improve your writing and stretch your imagination. The intuitive study format built on our Advance eLearn Engine makes it easy to zoom in on specific advice, with examples for picking up the pace, ramping up the tension and intrigue, revising for power, and creating a page-turner. Will this course be relevant to my country? The Write Fiction Books course has been created by a team of international best-selling authors, professional editors and established publishers worldwide. The information, principles, techniques and strategies taught within this course are universal and therefore completely relevant to aspiring and published authors worldwide. Currently, we have students taking the course in more than 50 countries. Can I view the course on my Smart Phone or tablet device? Yes! The course is fully compatible with all tablet devices such as iPads. This course has also been beautifully designed to work within any browser on a tablet, smart phone, computer or laptop. LearnLock™ Technology has been scientifically developed by award-winning e-learn experts to ‘lock’ the course training in your cerebrum, which is the large, outer part of the brain that controls your reading, thinking, and learning. Using a proprietary blend of expertly crafted content, stimulating imagery, subtle animation, color psychology, smart interactions, lively simulations, fun gamification, and practical quizzes, LearnLock™ Technology enables a typical learner to effortlessly absorb the course material incomparably quicker and easier than 98% of conventional online courses, which use basic text or video alone. The result is not only a significantly more immersive, engaging and enjoyable learning experience but vastly enhanced retention and recall of key knowledge and skills.